Have you ever been around someone who seemed to be having a rough time? Whether at home or at work, when that stressed-out someone is in your space, you might have the thought, "He really needs to relax." That can make you tense. Remembering to relax when we are stressed can be a challenge - and when someone else is stressed out, we could relax about them. Obviously, the antidote to being tense is to relax, but how can we attain that elusive state of relaxation when we're stressed at the office? Or at school? Or in a social situation? It's not like you can light some candles and draw a warm bath for yourself, or pop open a cold one and put your feet up on the coffee table. There you remain, stressed, and kind of stuck in a situation which is still happening. Perhaps your breath is shallow, or your mood is less than pleasant, you feel a bit ungrounded or a little explosive. Life in these moments does not seem very sweet or easy. What can you do to feel better fast, on the sly? Whether you're sitting in a meeting, on a conference call, walking to your next appointment, or having to be cordial when you don't feel like it, here are a few quick and easy tricks to let the air out of the balloon. And no one has to know. You can usually close your eyes without being noticed, even if just for ½ a minute. Try it now. You'll notice the outside world takes a back seat while you go within. You'll almost instantly regain a sense of balance and proper focus. You can find inner peace with your eyes open too. This time, put your attention on your breath. Slowly take a deep breath in through your nose, and then let it out slowly through your nose, holding it out for two seconds, and repeat. In, out, hold, repeat. Holding the breath on the exhale helps to counteract the stress breathing patterns of shallow breathing or holding the breath in. It might help to count your breaths. In, count one; out, count two. Count your breaths all the way to ten. The mind might wander, but simply keep bringing your focus back onto the breath and the numbers. By focusing attention on your breathing, you can calm down and settle into a slower rhythm. Silently ask yourself what you want in the moment. Be completely honest with yourself. It's very likely that you'll hear what you want. Perhaps you'll hear, "I want them to understand me," or you'll hear, "I want them to listen to me." If someone can give you what you want, then ask them for that. They either will give it to you or they won't. If they don't, then give it to yourself, whatever it may be. I sometimes find it difficult to ask for what I want because I'm afraid of the reaction I will get. I've learned to ask anyway. Asking greatly relieves the tension, whether the other gives me what I want or not. Bring your attention to how your body feels sitting or standing right in this moment. With your eyes open or closed, scan your body from the top down, relaxing as you go. Relax your forehead, your eyes, your mouth, your tongue, your jaw, lower your shoulders, relax your belly and bring your attention to your hands and then your feet. In less than a minute, you'll immediately feel better from the inside out. If we're unhappy in the moment, or if we spend too much time with people who are unhappy, the discomfort can be contagious and cause stress. Perhaps you notice that you're listening to one complaint after another, or gossiping, and feeling some stress build up. When you do, simply say, "I've got to get back to a project," and walk away. That project is your inner peace. Go outside, back to your desk, or head to a stall of a bathroom. Use one of these techniques and gain a new perspective. Thinking of good things is a simple way to lower your immediate stress. Give yourself a minute and think of what you are grateful for in your life. Make a mental list. Or, if you can do so, write it down. I like to begin my day with the list at hand. What am I grateful for in my life today? Repeating a prayer or affirmation or phrase to yourself can change the way you're thinking. 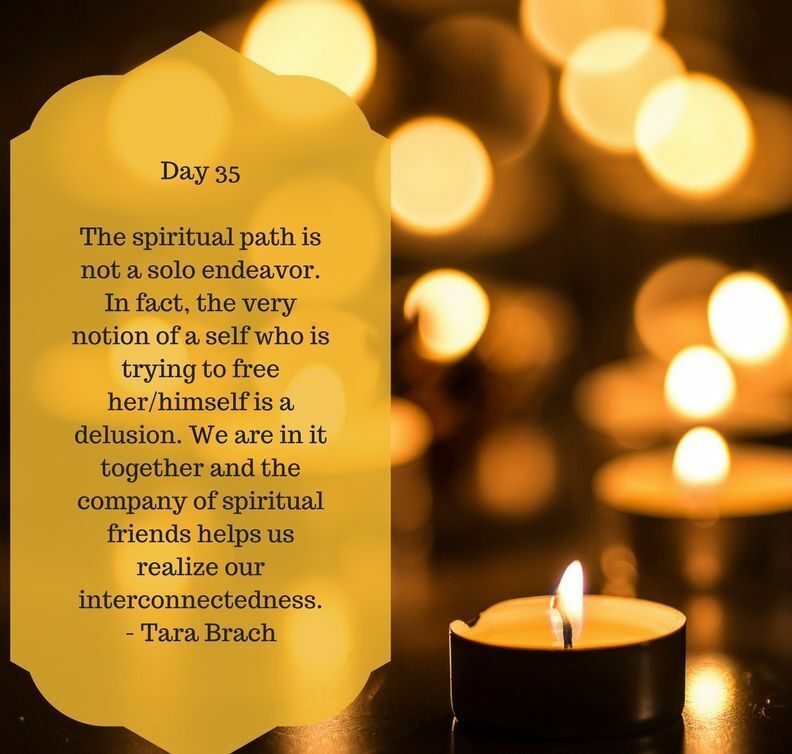 You can silently and slowly say a prayer to yourself. Or, silently repeat an affirmation or mantra at least seven times - these you can repeat with each inhale. Affirmations can be short phrases such as, "Let it go", "I'm doing the best I can in this moment", or "This too shall pass." Or choose one word: Calm, Peace, Listen, Silence, Stillness, Trust, Yes. Seven times. Slow down, just a little. Even when you multi-task, like talking on a cell phone and driving at the same time, your mind and body require more energy. Try getting up from your chair or walking a bit slower - you'll find this can help ease the tension and relax your mind and body. Pay attention to each one of your senses individually. One at a time, one after the other. What are you hearing in this moment? What are you feeling? What are you seeing? What do you taste? What do you smell? By paying attention to your senses, your focus can shift just enough to relieve stress in the moment. Give yourself a smile. Smiling releases endorphins which fight stress and help us feel better. Studies have shown that even 'faking' a smile can lead to feeling happier. Make it a point to smile more often. 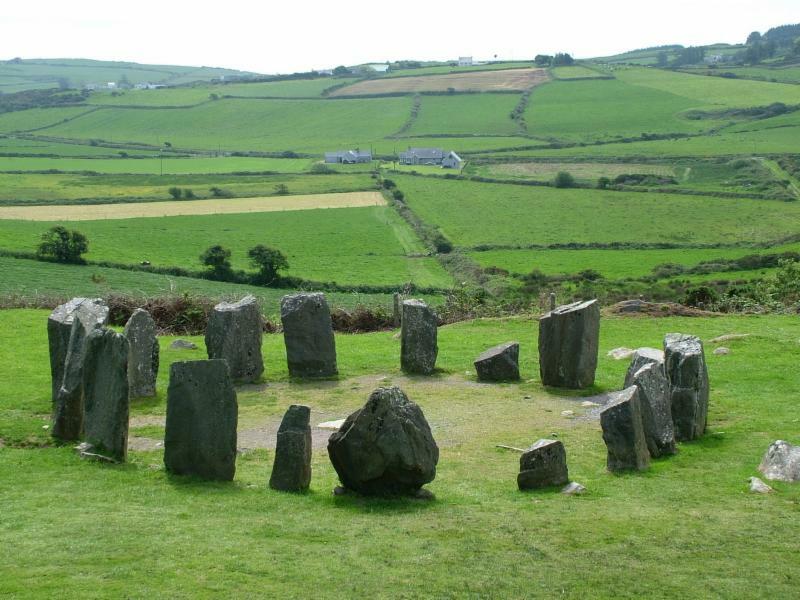 I first met Louise Shanagher at a festival in Roscommon, Ireland where I was leading a meditation. She was surrounded by a group of young children and they were i nvolved making a gratitude tree. It was precious. Louise is a children’s therapist, mindfulness teacher, and psychology lecturer in Ireland. 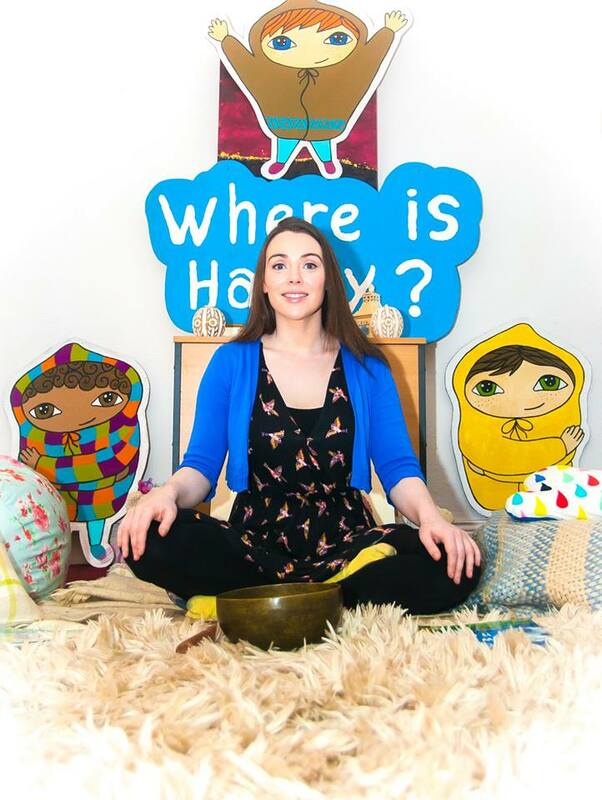 She is the author of three books: The “Mindfully Me” series, Ireland’s first series of mindfulness books for children. 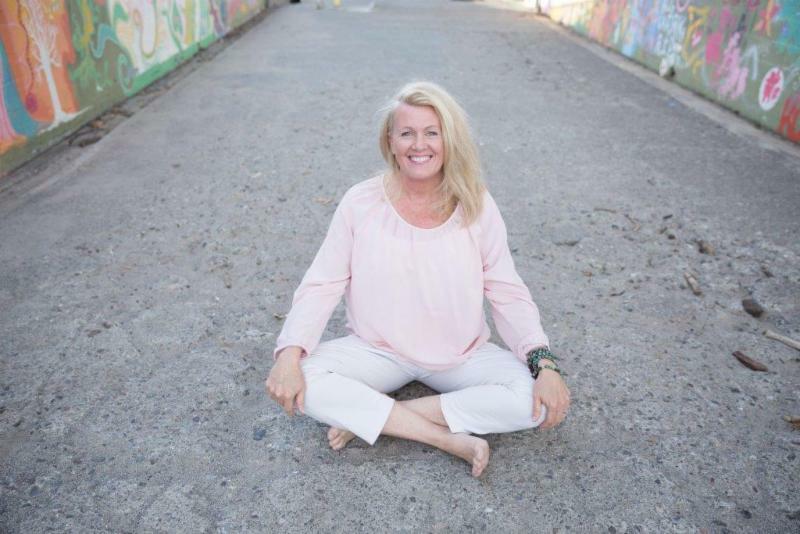 She provides creative and wellbeing workshops, mindfulness classes as well as individual therapy sessions and her series for the Feast promotes mindfulness, self-kindness, and self-compassion. Listen to her sweet meditations that will make your inner child smile, here.